In my opinion, Heartbroken is one of the best pictures I have ever created. I might be biased, and it might not be the strongest I've ever created, but to me it's a very special image for what it represents. The last couple of years have not been easy. I split up with my wife, and I have also struggled with a few relationships. This image represents the struggles and fights I have had over the last the last few years. 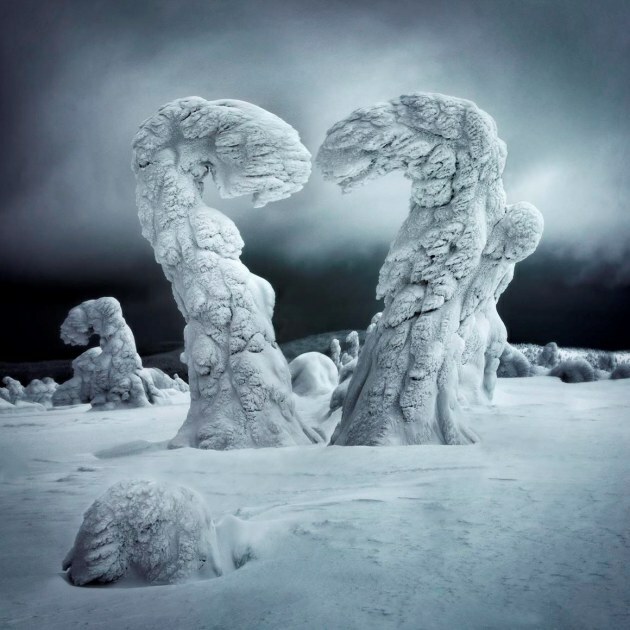 I was running a photography workshop in Lapland (Finland) in February 2018, and I was looking forward to photographing the “frozen trees”. It had been a great year with lots of snow and the landscape was absolutely amazing. I had never seen anything like it. It was like being on another planet with minimum temperatures of -28 C.
When love is broken, it can’t be repaired, and that is what this image represents. 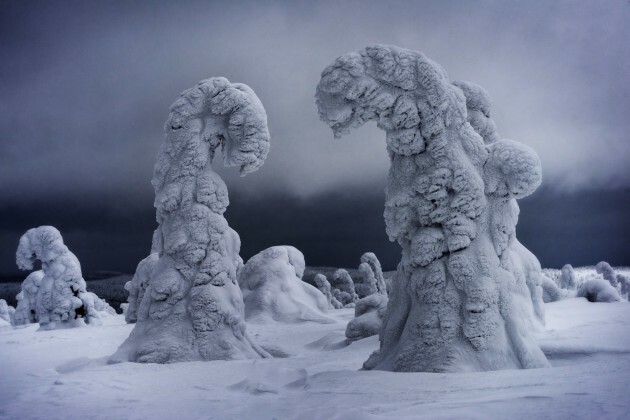 When we went to photograph to Riisitunturi National Park during the first day of the tour, I saw these two frozen trees in front of me and I instantly thought of a couple of figures, angry and fighting with each other. During that trip, I was having some issues with my ex-girlfriend and I couldn’t help it, but that is what I saw. It was a Sunday. I was struggling, feeling very depressed, and having a really tough time with issues relating to a past relationship. I decided to sit down and do some processing to relax and forget. It didn’t really help, but it took me a few hours to create Heartbroken. I will always remember that Sunday. It was one of the hardest days of my life. At least I came up with a nice image. They say that there is a link between depression and creativity. I don’t know, but I worked on the original image for hours and hours. I couldn’t leave my seat. I wasn’t quite sure if I was going to get there and get the result that I wanted, but in the end I managed to get a fairly good heart shape that was recognized by many colleagues. It is tricky to understand the story of this image if it is not told, but a lot of people have connected with it. As you can see, the heart is not complete – it is broken as the two figures barely touch each other. Confront. Captured in Lapland, Finland, in February 2018, during a photography tour with Ken Duncan, at -30 C.
Spanish born, Austalia-based travel and lanscpe photographer, Ignciao Palacios runs photo tours around the world, includuding to Finland, where this image was captured. It's his hope to make a difference through his travel photography as well as raise awareness about the environment and human right issues in some of the countries he visits. "It is my hope that people realise that we have a beautiful world and we should protect it." Follow this link to learn all about his tours and workshops.